I have no idea what the name of this plant is, but I like it. I read a great quote today by the poet William Blake – “What is now proved was once only imagined”. That is so profound and true. Every man made “thing” we see around us was once a figment of someones imagination. So don’t let anyone ever tell you to stop being a dreamer or stop using your imagination. In our imagination every wildest dream and vision can come true. We are at the center of that as the “creator” and can “live” out our wildest fantasies using our imagination. It is the center of all our creation and so should be encouraged by all, as through our imagination we can create our reality. No matter how big they seem, you have to start with your imagination first. That is a fact. These so called dreams create everything we see, no matter how much you may be ridiculed. If it makes you feel good, then do it. What happens if it all comes true? Anyways, Happy Mothers day to all you Mothers out there for tomorrow. I have also embedded a video by a South African artist I like. Funnily enough even though I am from South Africa, I never really enjoyed the local music until I heard Arno Carstens. The song is called Dreamer. Enjoy. What a beautiful post, Kenneth. I did enjoy it very much. I would guess that when we stop dreaming, it must be over. Sad to see that happen with people. Thanks for sharing this. Thanks Gina and thanks and always for visiting and your comments. Much appreciated. A beautiful shot and great words. I think the flower is called Allium. You’re right Inga. Thank you. 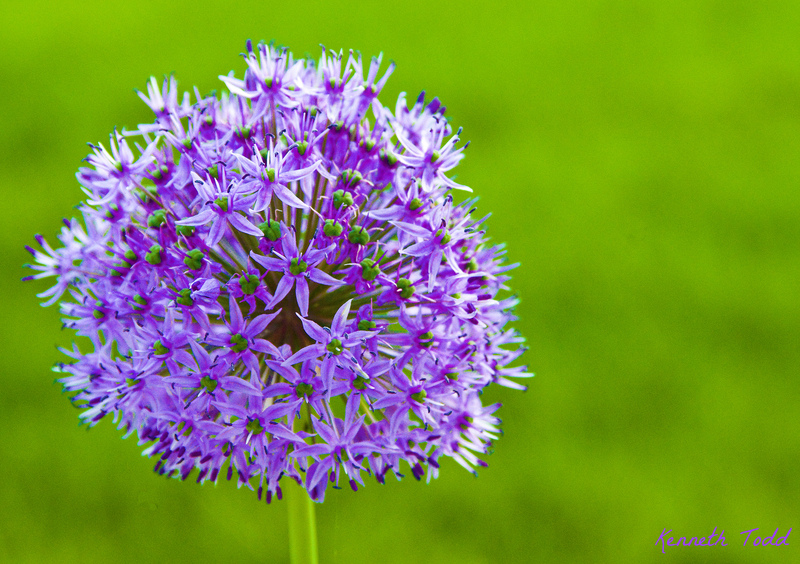 It is an allium… a smaller version of my allium that I am currently featuring a photo a day… Enjoy! They are so beautiful!